More accurately, gardening is like cooking. Many now cook with fresh ingredients but those who garden are the 1% in this country who cook what they grow. Ever venturing to learn and cook new things, I love gardening. No growing season is like another, and 2012 already promises fruitful kitchen gardens, grounded in “experimentation and an adventurous spirit”. So, courage! 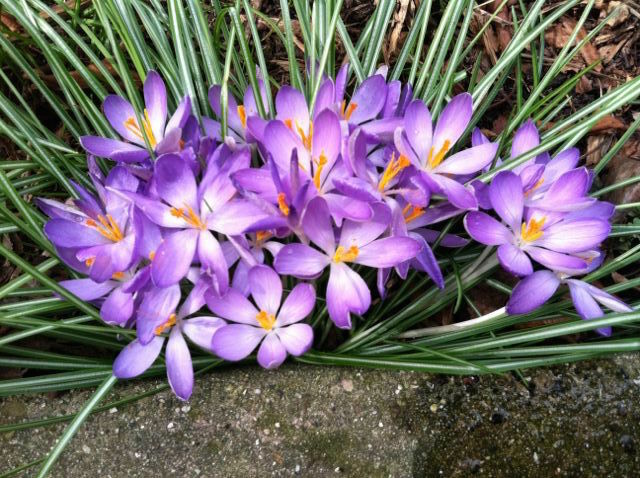 Crocus and snow drops blooming, and the first robin spotted: signs of an early spring. This coming weekend, I will adventurously, experimentally, even brazenly sow some peas in the mud. Worse case, it’s too cold, and I have to re-seed. Best case, early peas in early, early spring. And no market can ever match the flavor and freshness of peas picked from the garden. This entry was posted in gardeners, hyperlocal, hyperfresh, snap & snow peas. Bookmark the permalink.